This is a guest post by Alice Tsay, a PhD candidate in English Language and Literature at the University of Michigan in Ann Arbor. Alice’s dissertation, “Matters of Taste: Digesting Difference in Victorian and Edwardian Culture” examines the rhetorical functions of food and ingestion within discourses of difference during the long nineteenth century. While fanciful, Seeger’s story takes its inspiration from an actual patent medicine called Dr. Williams’ Pink Pills for Pale People. Though he turns it into a fable about the white noise of commercialism in modern society, the tale also suggests the ubiquity and pervasiveness of the product to which it alludes. First formulated in Canada in 1886, Dr. Williams’ Pink Pills for Pale People quickly made their way across the world, appearing in advertisements in dozens of countries by the early 20th century. These advertisements claimed that the pills would cure nearly any ailment, including eczema, rickets, and paralysis. Unsurprisingly, the company’s outsized claims drew complaints from both consumers and professional associations. By the 1910s, Dr. Williams’ Pink Pills for Pale People had gained a reputation in North America and Great Britain as the archetypal quack cure, part of a gullible past with no place in modern medical practice. In China, however, these pills met with a slightly different fate. 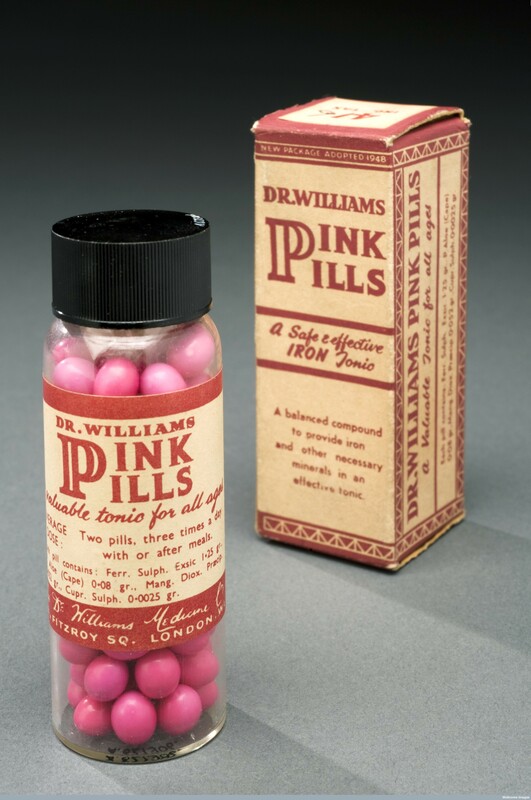 Marketed in English language publications in Shanghai from the early 1900s onward, Dr. Williams’ Pink Pills also appeared in Chinese-language publications from the 1910s through the early 1940s. In the mid-1920s, these Chinese advertisements went from suggesting that the product could be procured ‘wherever Western medicines were sold’ to declaring that it would be available ‘at all pharmacies’, the latter suggesting much greater social saturation. By 1941, adverts sent customers directly to the National Department of Health (guomin zhengfu weisheng shu), a governmental entity whose focus on establishing public sanitation standards has been seen as a main component of developing modernity in Shanghai. Though this trajectory of growing legitimacy seems surprising, several features of these pills would have eased their integration into the lives of Chinese consumers. While new Western imports such as deodorant, powdered milk, and oatmeal started out as totally unfamiliar products, the wan or pill form of medication in China dates back several centuries, as medicinal powders formed into a wax-covered ball. Moreover, as a purported cure-all, the pills were a good fit for the symptom- rather than disease-based approach central to traditional Chinese medicine. Marketers further catered to the audience by translating ‘Dr. Williams’ Pink Pills for Pale People’ into weilianshi dayisheng hongse buwan in Chinese, or ‘Doctor Weilianshi Red Supplement Pills’. With alliteration abandoned, the pink pills became red (though merely in name), taking on a color with greater cultural resonance and existing precedence in traditional medicinal packaging. The story of Dr. Williams’ Pink Pills for Pale People in Shanghai is an accumulation of paradoxes, both in comparison to its Western origins and in the context of China itself. To start with, it was a foreign product that was familiarized through the form of traditional Chinese medicine. Beyond that, it was one that increased in popularity in the wake of the New Culture and May Fourth Movements of the 1910s and 1920s, which reacted against both traditional Chinese culture and what was seen as excessive imperialist influence. These seeming contradictions reveal not only the tangled processes of history at a local level, but also the hybrid cultural pathways that contributed to the formation of global modernity. Bergère, Marie-Claire. Shanghai: China’s Gateway to Modernity. Translated by Janet Lloyd. Stanford: Stanford University Press, 2009. Print. “Cool Things—Pink Pills for Pale People.” Kansas Historical Society. December 2014. Web. 28 November 2016. Go, Simon. Hong Kong Apothecary: A Visual History of Chinese Medicine Packaging. New York: Princeton Architectural Press, 2003. Print. Illustrated London News. Retrieved from The Illustrated London News Historical Archive: 1842-2003. London, England: Gale Cengage Learning. Web. 28 November 2016. Liang You Hua Bao [The Young Companion]. Shanghai: Shanghai Shu Dian, 1986-1989. Print. Seeger, Pete and Paul Dubois Jacobs. “Pink Pills for Pale People.” Pete Seeger’s Storytelling Book. San Diego; New York; London: Harcourt, Inc., 2000. Print. This is a guest post by Steffan Blayney, a PhD student in history at Birkbeck, University of London researhcing fatigue, the science of work, and the working body in Britain c.1870-1939. He is also one of the organisers of History Acts. “It was not that he had attained to a greater age than his ancestors …; it was that his life, as measured by exciting and consequently fatiguing experiences, had already far exceeded most of theirs”. As he reaches his final minutes, our dying century is joined at his bedside by a choir of Decadents, who sing ‘in praise of exhaustion, and disillusion, and failure, and emptiness, and weariness’. Finally, as the clock strikes midnight, they all join in an ‘Ode to the Spirit of Decadence’. By the time it is over, however, Seekleham has already succumbed to his exhaustion, disappearing to make way for the new-born Twentieth Century. Traill, who fittingly died himself in 1900, was not alone in associating the end of the nineteenth century with exhaustion. Across a diversity of texts, metaphors of fatigue were used to signify political decline, social regression, and cultural deterioration. In an influential article of 1871, the historian James Froude painted a picture of an England overcome by ‘lethargy’, the political and racial ‘vigor’ of its people teetering on the brink of ‘exhaustion’. By the end of the century, in the words of Conservative politician Joseph Chamberlain, the nation had become a ‘Weary Titan’, overburdened by its vast colonial possessions and struggling to match the energy and dynamism of its international rivals. In British culture too, the critic John Addington Symonds diagnosed a pervasive ‘world-fatigue [which has] penetrated deep into our spirit.’ Fatigue took its place alongside those other fin-de-siècle (fin-de-Seekleham) signifiers – decline, degeneration and decadence – with which historians of late-nineteenth century Britain are familiar. Medical writers, as the physician Clifford Allbutt observed in 1895, were likewise concerned that the British population was ‘drooping with the century’; that the energies of the population were being depleted as a result of the vast and rapid social and technological changes that had characterised the nineteenth century. The spread of industrialisation, urbanisation, education, and new technologies such as the railway and the telegraph had increased the pace and intensity of modern life to such a degree that the body was unable to withstand its constant pressures and demands. Practically absent from medical or scientific discourse before the 1870s, the final decades of the nineteenth century saw a proliferation of attempts to define, describe, measure, and control physical and mental fatigue. By the end of the century, contemporaries were certain that they lived in an ‘age of fatigue’, with medical professionals concerned that their era would be remembered by posterity as ‘the Tired Age’. Increasingly, distinctions were drawn between normal and pathological states of fatigue, or between ‘fatigue’ and ‘over-fatigue’ or exhaustion. While a certain amount of fatigue was the natural consequence of normal work, continued over-exertion put body and mind at risk of severe, or even permanent, debility. Behind every discussion of fatigue lay the entropic spectre of ‘total collapse’ or ‘irrecoverable degeneration’. For all its obvious anxieties, however, the fin-de-siècle discourse on fatigue was inherently equivocal. While fatigue expressed itself in individual bodily decline, it could also be read an expression of national progress. If fatigue was a disease of modern civilisation, then an epidemic of exhaustion was the best evidence possible of a civilised society. 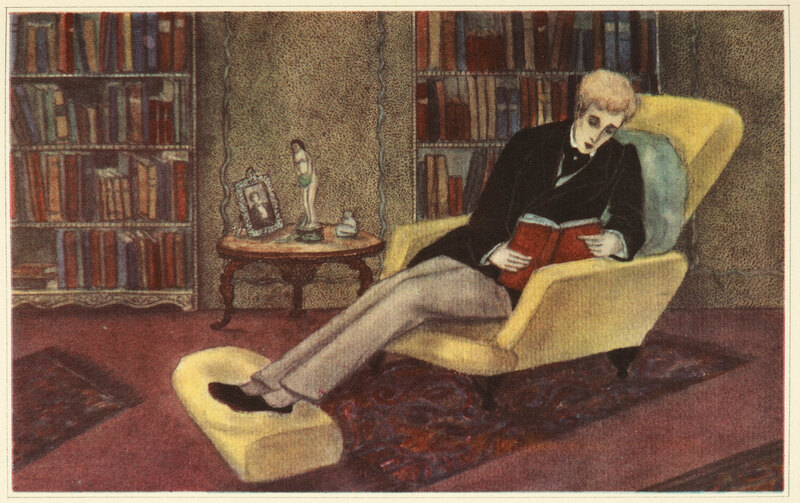 For many, the archetypal subject of fatigue was less modernity’s discontent than its agent: ‘the eminent lawyer, the physician in full practice, the minister, and the politician who aspires to be a minister … the literary workman, or the eager man of science’. Moreover, authorities on the subject were keen to point out that pathological fatigue was a problem which afflicted only the most advanced societies, the superior races. If fatigue was a common metaphor for Britain’s decline, it could also be exploited as evidence of its social and cultural pre-eminence and imperial dominance; in a word, its modernity. 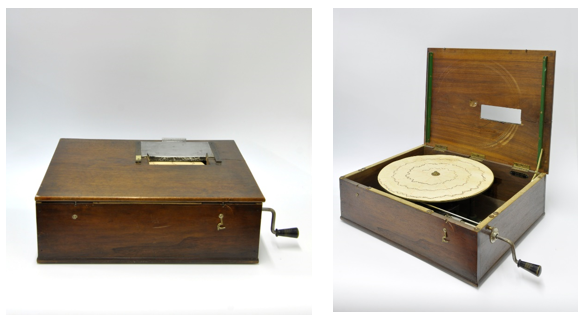 Late-Victorian doctors were thus faced with an uncomfortable paradox. On the one hand, fatigue represented a failure of the body to meet the demands of modern life, and yet, at the same time, its increasing incidence was the best possible evidence of a society’s supreme modernity. As Britain entered the twentieth century, the problem that would preoccupy both scientists and policy-makers was the following: how could the constraints on the powers of the body be reconciled with boundless social progress? Did fatigue represent a limit to modernity, or an obstacle which it was possible to overcome? 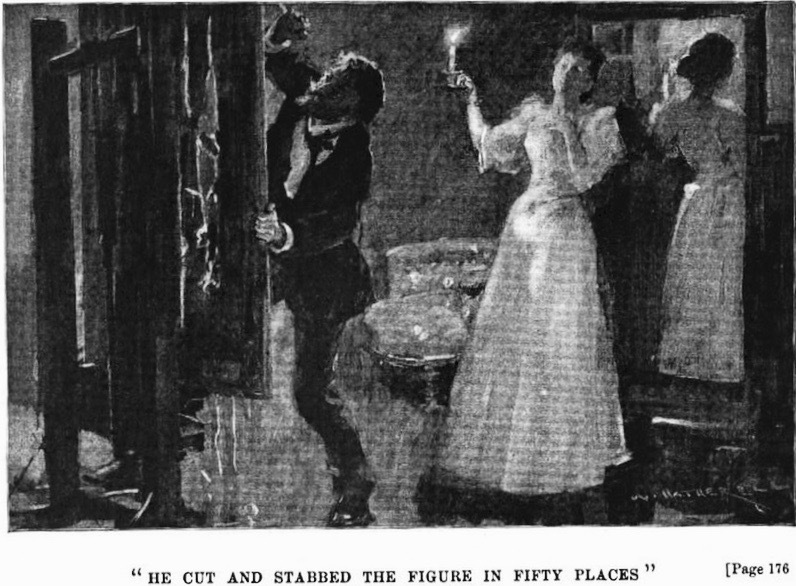 H. D. Traill, Number Twenty: Fables and Fantasies (London: Henry & Co., 1892), 1–13. James Anthony Froude, ‘England’s War’, Fraser’s Magazine 3, no. 14 (February 1871): 135, 144. Joseph Chamberlain (1902), quoted in Julian Amery, The Life of Joseph Chamberlain, vol. 4 (London: Macmillan & Co., 1951), 421. Joseph Addington Symonds, ‘A Comparison of Elizabethan with Victorian Poetry’, Fortnightly Review 45, no. 265 (January 1889): 60. T. Clifford Allbutt, ‘Nervous Diseases and Modern Life’, The Contemporary Review, 1866-1900 67 (February 1895): 210. Mona Caird, ‘The Evolution of Compassion’, Westminster Review, 145 (1896), 635–43 (p. 643); “A Physician”, ‘Fatigue’, Quiver, 1908, 1012–13 (p. 1012). Robert Farquharson, ‘On Overwork’, Lancet 107, no. 2731 (1 January 1876): 10; J. Mortimer Granville, Nerve-Vibration and Excitation as Agents in the Treatment of Functional Disorder and Organic Disease (London: J. & A. Churchill, 1883), 11. W. R. Greg, ‘Life at High Pressure.’, The Contemporary Review 25 (December 1874): 629. This is a guest post by Dr Amy Milne-Smith, Associate Professor of History at Wilfrid Laurier University, Canada currently researching representations and understandings of men and madness, 1850-1914. And yet co-existing with this mantra of hard work and manly pride were great fears of the potential costs of such devotion. Not only were there moral fears of becoming hard, or rapacious, or materialistic—there were also fears that overworking the brain could lead to a breakdown. Serious concerns about the fate of men’s brains due to the pressures of modern work and life led many to seek out pre-emptive solutions. Victorian quack doctors had unparalleled abilities to prey on contemporary fears to sell miracle cures. The aptitude of medical charlatans to root out and exploit underlying anxieties makes them an incredibly rich resource, therefore, to uncover people’s fears. And clearly, the overworked man was a source of concern. 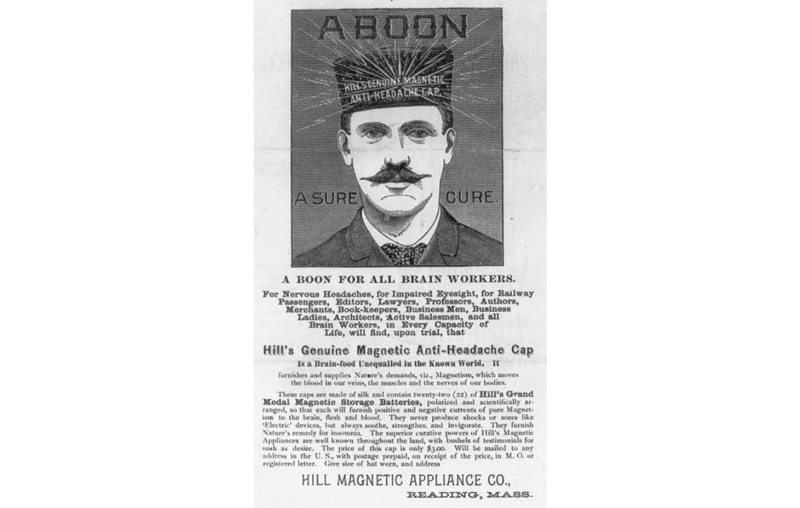 Advertisement featuring a man wearing a cap with lightning bolts emanating from its center front representing the cap’s curative magnetic powers against nervous headaches and impaired eyesight, 1880. …the State needs men, true men, energetic in body and soul. But what is produced instead is a lot of puny youths who are already worn-out old men; the real men are becoming few and far between, and this will go on as long as the real causes of bodily and mental misery and the decline of nations are not recovered. The dangers of overwork worried all manner of doctor from the charlatan to the legitimate. The much-discussed Victorian diagnosis of neurasthenia was, however, the less serious results of pushing oneself too far. There were fears that overwork could lead to complete madness. And these fears were not limited to the so-called experts. Everyday people felt the potential dangers of overwork as well. E.F. Benson is best known as the author of the Dodo series and the ‘Mapp and Lucia’ novels. But he also came from a family gifted with talent and plagued by serious mental health issues. As a prolific writer, the shadow of overwork was never far from his mind or his family experience. Detailing life inside this incredibly talented family in his 1921 memoir Our Family Affairs, he outlines the cost of overwork. He strongly believed his brother Robert, an author and Roman Catholic priest, died from overwork. Another brother Stephen worked himself to madness at a young age and died in an institution. Such ideas resonated with a populace that already believed in the connections between madness and genius. There was a sneaking suspicion that perhaps madness was a necessary complement to genius, or an inevitable side effect. The spectre of absolute madness was a real concern for men of genius and hard work. The potential of men’s overworking themselves to madness was terrifying. With the hope of a cure waning in the latter half of the nineteenth century, the diagnosis of madness often meant the end of productive life. And without his work, or his ability to control his mind, a Victorian gentleman was hardly a man at all. As Janet Oppenheim notes in her classic text ‘Shattered Nerves’ the ability of men to control their emotions became increasingly paramount to their identities. The inherent irrationality of a madman thus made him either a brute or an effete. Work too little and risk being branded lazy and useless; work too much and risk descending into madness. The stresses of modern life posed some unwinnable scenarios. Professor Sally Shuttleworth has guest edited and introduced an issue of Victorian Network, entitled The Victorian Brain. The issue, Volume 7, Number 1 (Summer 2016) is available to read and download here.